The generosity of family, friends, teachers, teammates, local businesses, and complete strangers was beyond our wildest expectations. 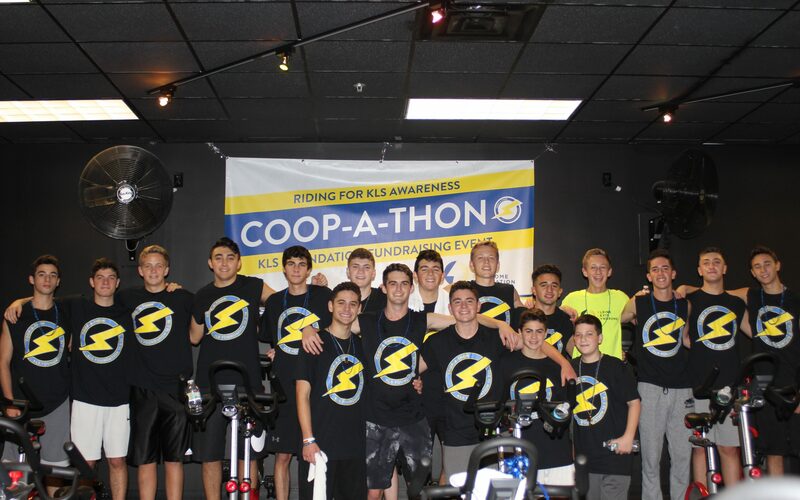 The KLSF received donations totaling $67,000! 100% of this money will be used to help researchers find the cause of and cure for KLS. In addition to raising funds, the 2nd annual Coop-A-Thon spread awareness — which is equally as important as donations — through social media, newspaper articles, and good old-fashioned pounding the pavement. Participants cycled in person or virtually. The energy in the spin class was palpable as chants of “CRUSH KLS” and the sound of whistles being blown could be heard throughout the gym. Intrigued by our enthusiasm, gym members walked over to our event table and asked what was going on and how they could sign up! The generosity and kindness that we experienced on this day reignited the HOPE we have that one day our loved ones will be cured! Thank you for your continued support, and please email us with any concerns or questions.